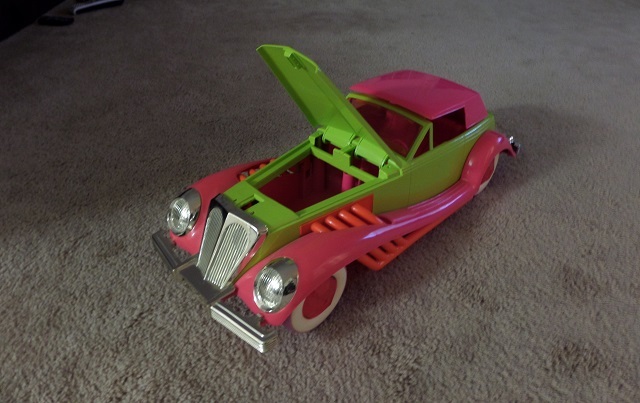 Who remembers this car/toy? 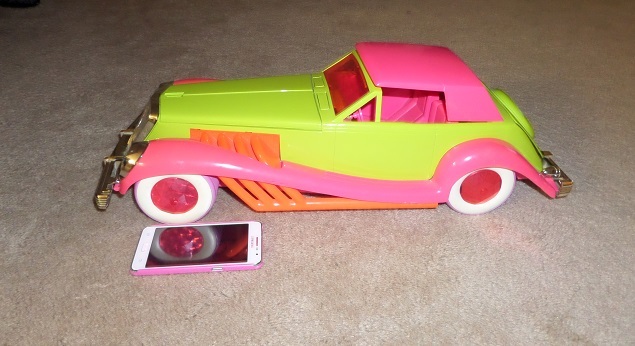 This was Jem’s Rockin’ Roadster, released only in 1986. 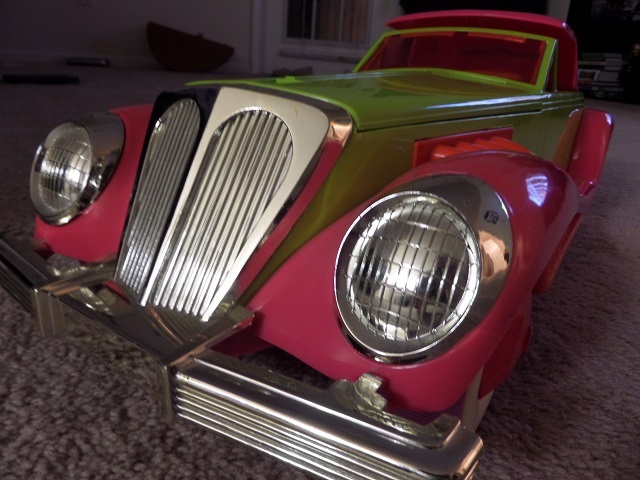 The next year it was replaced by the Glitter N’ Gold Roadster, which was probably more appealing to little girls. I disagree. 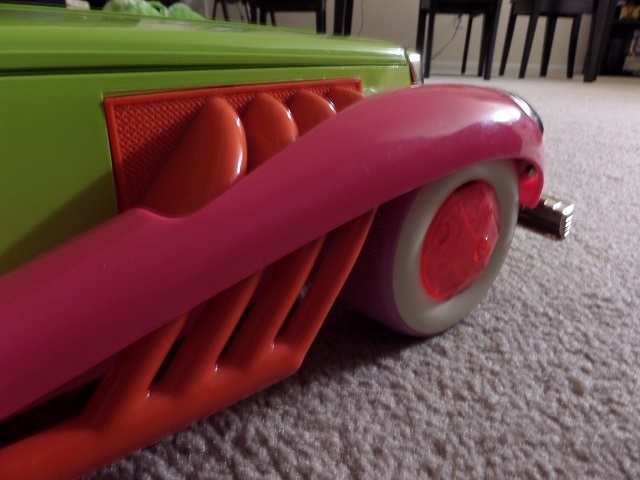 I was 4 years old when the Rockin’ Roadster came out, and I believe Santa brought it to me. I was Jem obsessed – and still somewhat am – and had most of the dolls, accessories, books, tapes, and whatever else we could afford. This car symbolizes my childhood. Crazy colors, fun, and energetic. 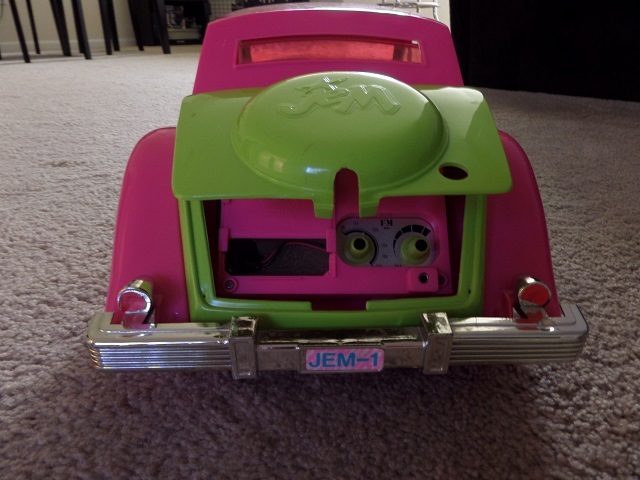 Nearly 30 years later, when I hear “Jem” I think of this car. And I found one. Oh yeah, I bought this fabulously 80s treat. Scheduled to arrive early this week, I had trouble containing my excitement. Not only was this more than affordable for what it was, but it was in great condition. Even the radio works. This week rolled around, and on Wednesday I received a slip saying the post carrier left the package with my apartment manager. I visited the office, and they didn’t have it. I remained calm and called the post office. Friday morning came, and I called again. Thankfully, the nice lady answered and spoke to the carrier for me, and they had no idea where it was. The carrier’s daughter ran the route and said she left it in the package box. Well, guess what? She didn’t because it was way too big. And again, no one knew where it was. By Saturday, I was about to have a nervous breakdown. When I placed the order last week, I had this terrible feeling something would happen to it because it was so special to me. That’s just my luck. I called the post office again and spoke to another useless person who was less than helpful. I had lots of errands to run but ended up back at the apartment office. I decided to check the packages for the third time, and my manager found it! Apparently, it had been dropped of late Friday afternoon. After 10 minutes of getting through the packaging, the Jem Rockin’ Roaster has a new home! Here’s a full tour of its awesomeness! For scale: It’s 24 inches long. 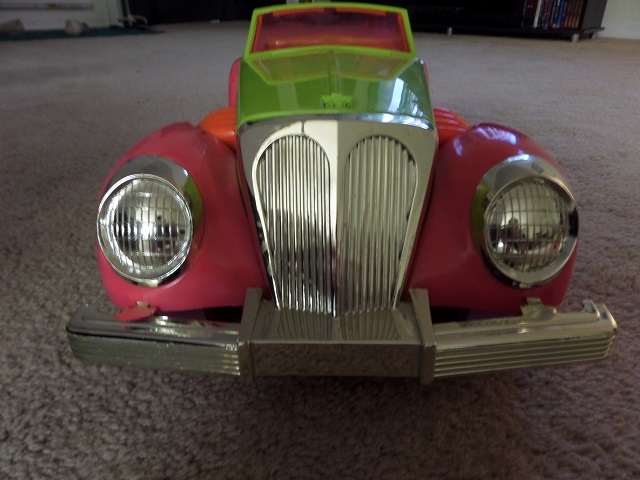 Gorgeous 80’s plastic chrome. Only the top cars had this feature. 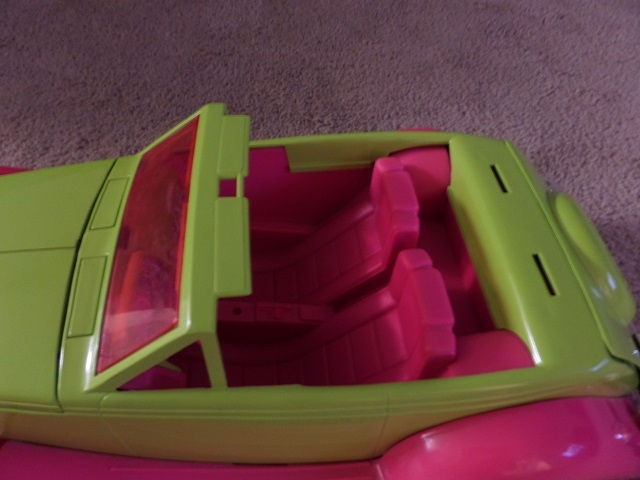 Roomy interior, but it was hard fitting the huge dolls. 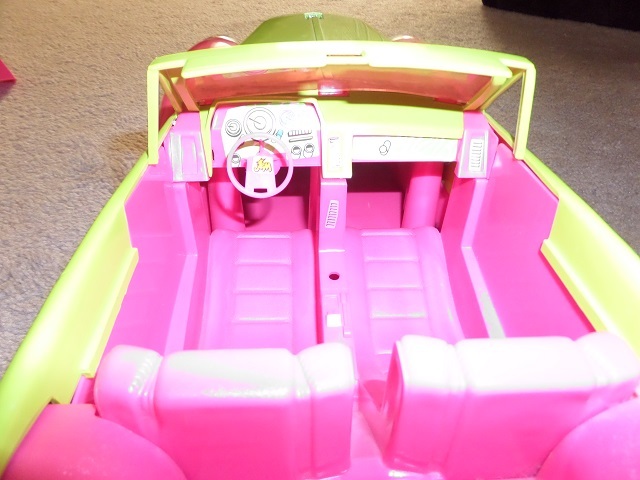 Missing the stick shift, but the hot-pink interior more than makes up for it. Beautiful curves and gem white-wall wheels. Check out the working FM radio! I mis-remembered this as a tape player, but I do credit the radio for my love of The Monkies. It picks up a whopping three channels and provided music on many days! Pimpin’ in 80’s style. The end.